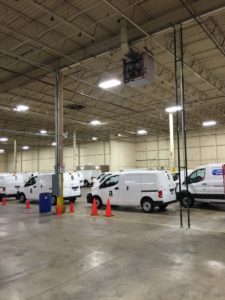 If you are planning a commercial project and are in need of a reliable and professional commercial electrician, then look no further then Reliant Naperville Commercial Electrician. When choosing a commercial electrician make sure that the company you choose is a licensed and bonded commercial electrician. Also check out the companies portfolio of work to ensure they have provided commercial electrical services similar to the scope of work you are looking for. Here at Reliant Commercial Electrical we come highly recommended in the Naperville Business and Construction community as the premier commercial electrician. Reliant Electrical has been providing commercial electrical services for over 15 years. We understand what it takes to work with a General Contractor or a construction team. We know how crucial it is to get the job done on time and on budget. Reliant employees only licensed electricians have been trained to follow commercial construction blue prints and plans. We take great pride in our commercial work and look forward to helping you with your commercial electrical work in Naperville today! Reliant Commercial Electricians of Naperville are dedicated to the quality of our workmanship. Additionally, we are dedicated to our commercial clients which is a large part of what separates us and helps us earn our strong reputation. We expect to complete each job on time and on budget and strive to exceed the expectations of our commercial clients. Commercial Electrician Overall rating: 5 out of 5 based on 9 reviews.